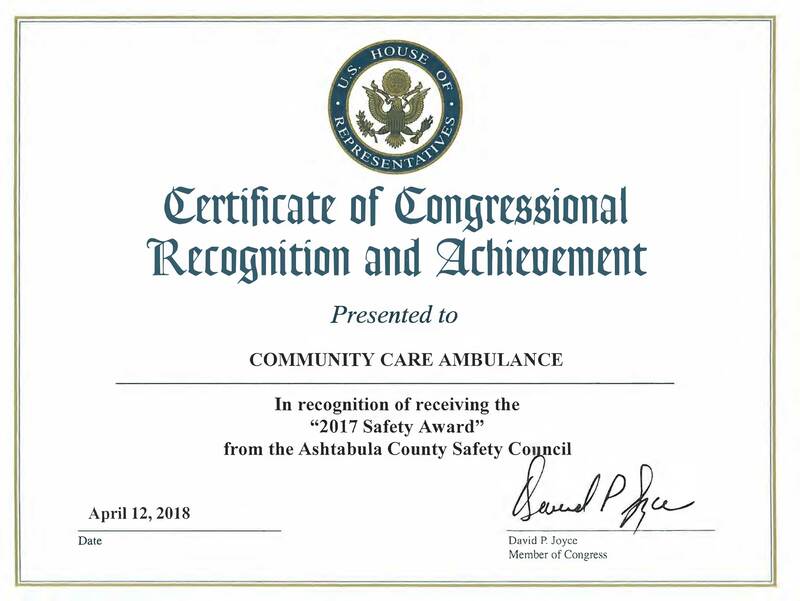 Community Care Ambulance receives Safety Award from the Ashtabula County Safety Council for reducing injuries in 2017. McLean, VA —- The American Ambulance Association (AAA) is proud to award Julie Rose with the 2016 Robert L. Forbuss Lifetime Achievement Award. The Robert L. Forbuss Lifetime Achievement Award is named in honor of the first Executive Director of the American Ambulance Association. It recognizes a volunteer leader who has made a significant long-term impact on the association. Julie has held numerous leadership positions in the AAA including Membership Committee Chair, Region III Director and Alternate Director. She has worked tirelessly to get members of her Region to join the AAA, knowing that it is important to participate in the national organization to be part of the team finding solutions to today’s challenges in EMS. “In her years of service to the AAA, I cannot remember a Board meeting, Stars of Life or Annual Conference that Julie has missed. She comes prepared to tackle the difficult policy issues and goes above and beyond the call of duty to show her Stars her gratitude for the work they do.” Julie is a Star in my book, said AAA President Mike Hall. It is for this service that the AAA is proud to recognize Ms. Rose with the 2016 Robert L. Forbuss Lifetime Achievement Award. Julie Rose will be presented with the Robert L. Forbuss Award at the AAA Conference and Tradeshow in Las Vegas, Nevada on November 8, 2016. This event is the premier event for leaders in the ambulance industry, featuring exclusive education, networking, and cutting edge technology. 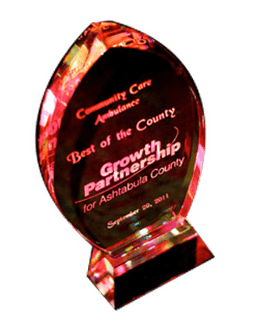 Community Care Ambulance was recognized with a Best of the County Award by the Growth Partnership for Ashtabula County September 20th, 2011, during its annual awards banquet at Spire Institute. The annual event celebrates the county’s economic development success stories and the leaders behind them. Increasingly, nonprofit groups such as CCA and their leaders are being recognized by the event. Community Care Ambulance Director Julie Rose received the award from Tina Stasiewski of ACMC. Rose stated the nonprofit service operates in Northeastern Ohio, but also has sent ambulances to disaster areas outside the region. Community Care Ambulance employs more than 180 professionals, serving thousands of patients each year.